Do you require repair, maintenance, or construction work on a temporary basis? If the answer is yes, then avail our contractual services now. At Sanaabil Agri Formulations, we are instrumental in rendering excellent real estate contractor services to the property owners across Tirunelveli (Tamil Nadu, India). We are blessed with a team of efficient and certified real estate contractors. 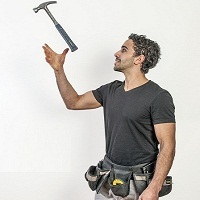 Our team comprises mason painters, plumbers, carpenters, and electricians. Our real estate contractors ensure that the terms and conditions laid in the signed contract is strictly followed by both the parties. So, avail our real estate solutions on permanent as well as contractual basis now!